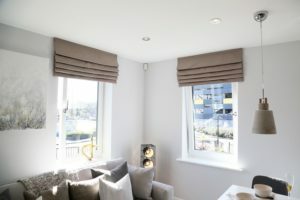 When a highly-respected home builder, renowned for a love of design and unrivalled attention to detail and care for product quality and specification, searched for the right windows for a stylish inner city development within Wakefield – it’s no surprise that they chose Liniar. Based in Doncaster with developments across Yorkshire and the East Midlands, Strata is a leading private home builder in the North of England. Placing customer experience at the heart of all that it does, the company is responsible for building 750 homes per year, which combine traditional and contemporary architecture. 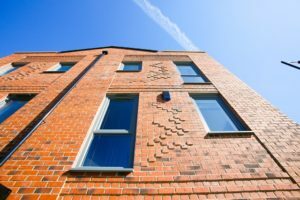 Charlotte Curtis, Liniar’s Business Development Manager, provided Tristan Green, Strata’s Commercial Manager, with information and details of the Liniar range back in 2015, impressing him enough to be added to the tender list. “We were looking for something different and loved Liniar’s outlook and fresh approach,” said Tristan. “We wanted to work with a forward thinking, innovative company who would help to shape our homes. Liniar was awarded the tender for Strata’s Agenda development at Merchant Gate, a vibrant new commercial quarter in the heart of Wakefield. Consisting of a collection of two bedroom Livorno homes, designed over three floors and ideal for first-time buyers, Agenda’s central location, transport links and nearby amenities make it the perfect choice for young professionals. 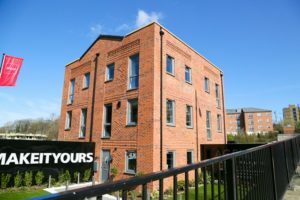 Wakefield has become a popular destination for home buyers over the past few years and Merchant Gate has been through a multi-million pound regeneration scheme, bringing new businesses and facilities to the area. With Leeds, Huddersfield, Bradford and Barnsley all close by, the city is ideally placed for commuters. “We’ve seen growing demand for inner city homes over recent years,” said Tristan. “Following the success of our Flaunt development in Leeds, we’ve now developed new homes right in the heart of Wakefield. “The Livorno homes at Agenda offer a spacious alternative to apartment living. There’s a ground floor bedroom that could be used as a study or separate living space and bathroom with corner shower. “Upstairs, on the first floor, is a living area with an open plan kitchen and dining room, whilst on the third floor there is a master bedroom with en-suite. Both come complete with top quality fixtures and fittings. 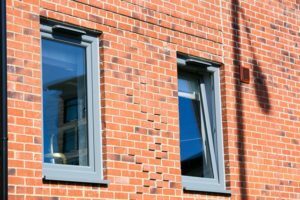 For a company that prides itself on paying attention to every detail in a new home, the choice of windows was vital to the final aesthetic – as well as offering superior thermal efficiency – and that’s why Liniar was chosen for this high quality development. “We specified tilt and turn windows because of the type of homes at Agenda,” said Mike. 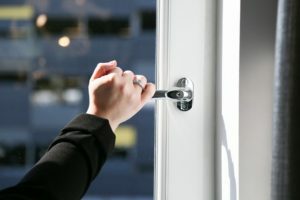 “The open in style means that the windows can be easily cleaned from inside, while the tilt position allows secure ventilation. “They’re ideal for high-rise and low-rise buildings and also provide a fire escape for extra peace of mind. 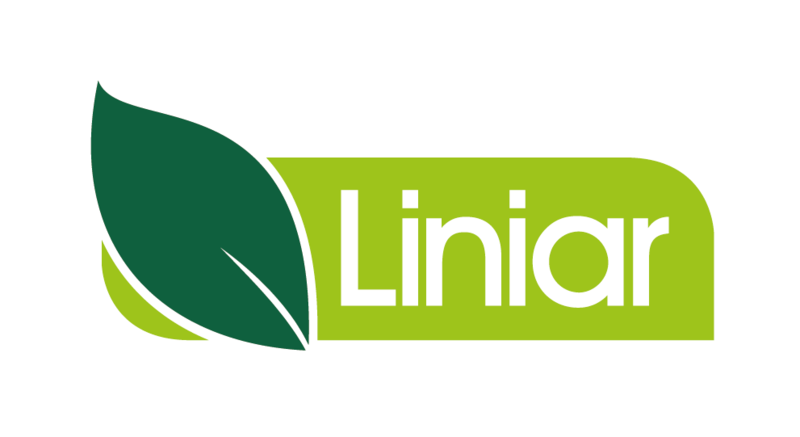 “We’ve formed a good relationship with Liniar over the course of this project, due to their honest approach and innovative products. “The superior thermal ratings that Liniar windows offer means lower energy bills for our customers, saving them money in the long term. Find out more about Strata’s Agenda development or call 01924 917335 for details. 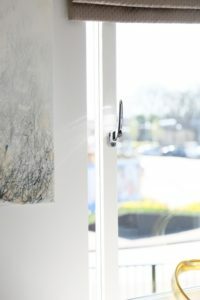 Further details about Liniar Tilt & Turn windows here.